I know I am ten days late, I'm sorry for the delay! But that doesn't mean all my good luck wishes, to all of you, aren't sincere. I am just a little "fashionably late" ;-). I'm so sorry for not updating my blog recently. No, I did not stay in my food coma from Christmas... I've just been busy with holiday craziness and also studying for my exams. But from now on I will be making regular updates again, that's my first resolution for 2013! My other resolutions will be coming up soon, but I just wanted to give you a quick update on why my blog has been on low key. I hope you all had great holidays and celebrated Christmas and New Years with family and friends. 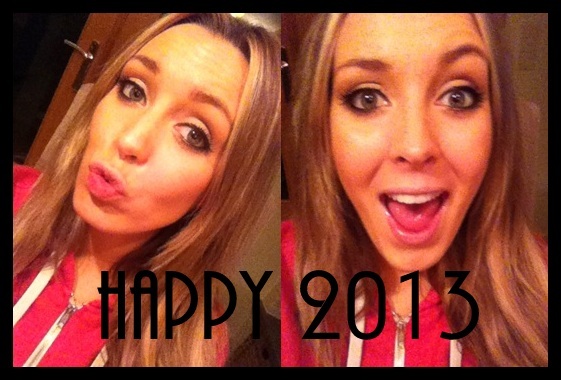 I personally had a great time and I hope that the holidays of 2012 are an indication of what 2013 will be like! Best wishes to all of you and your family!